Join the DJ Girl 6 mailing list to stay up to date on all Girl 6 news, events, podcasts, and exclusive new offers and releases! 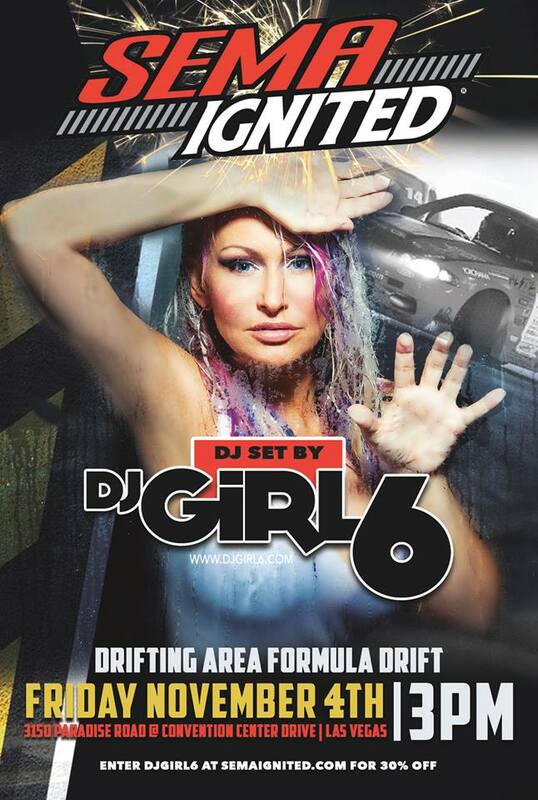 Sema Ignited: The GASP-WORTHY drifting show this Friday 11-4 @3pm feat. music by Dj Girl 6! See you there! DJ Girl 6 in Las Vegas on te%WEBSITE CONSTRUCTION TIME! DJ Girl 6 @ Radius Pool! Dj Girl 6's 1st Pool Party of 2017!! Back On MTV! Did You Miss Me?